Please give a warm welcome to author, Darrel Nelson. He's visiting the blog today to tell us about his new book, The Return of Cassandra Todd. First let's learn a little about Darrel. 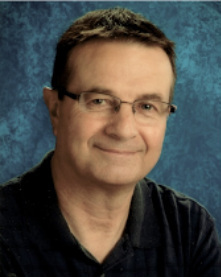 Darrel is a retired school teacher, who resides in Alberta, Canada. He is married to his beautiful wife Marsha, and they have four children together and ten grandchildren. 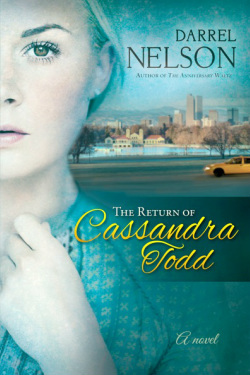 Now let's take a look at the cover of the The Return of Cassandra Todd. Darrel, please tell us about your book. The Return of Cassandra Todd is the story of a young man named Turner Caldwell, who could never have imagined that the outdoor training and survival skills he learned at Camp Kopawanee, a summer youth camp where he worked three years as a leader, would one day become so crucial. When Cassandra Todd, the girl associated with making his life miserable in high school, re-enters his life, little son in tow, and asks for help in eluding her abusive husband, Turner finds himself entangled in a life and death struggle that will require every skill he has in order to survive. The novel is a contemporary action/adventure love story that I hope will keep readers turning the page in a headlong rush to see how things turn out. What is it like to write romance from a male perspective? I think the key word here is “perspective.” This may come as a shock but men and women are different! They think and communicate differently. They express their emotions differently. I’m not going to make any sweeping generalizations—like men are more about physicality and women are more emotional—but I think male writers bring a different perspective to the table. They have a different way of looking at relationships and a different way of presenting them. No one can think more like a man than a man. Similarly, no one can think more like a woman than a woman. (Although my wife claims that she knows me better than I know myself.) So it’s that difference that allows me to bring a different perspective to the table. A woman who recently read my first novel, The Anniversary Waltz, commented, “I could tell it was written by a man. Not that it’s a bad thing. But I could just tell.” So even though the difference in perspective is discernible to women readers, thankfully it’s not a bad thing. I started writing stories before I was old enough to realize I was writing stories. It seemed a natural thing to pick up a pencil and paper and create a world simply by using words—worlds of adventure in steaming jungles (Tarzan was an early influence on me) or realms of adventure in outer space (Buck Rogers). As I grew older and finished university, I set my sights on becoming a novelist. I wrote a variety of genres, ranging from historical romance to mystery, but was unable to find a publisher. After I started teaching school, I decided to try writing juvenile fiction. I wrote five novels intended for junior readers, but could never find a publisher either. One day I found a story idea that intrigued me. It was a detail from my own family history. Ten years and several major rewrites later, The Anniversary Waltz was accepted for publication. So I knew fifty years ago I wanted to be a writer. I just didn’t think it would take so long to become a published one. As I have grown older, I have discovered that the real inspiration for me is exploring the theme of love and how it can make such a difference in the world. I no longer write Tarzan/Buck Rogers-styled stories. I prefer to write stories about people, incomplete at the beginning of the story, who find completeness or wholeness in one another as the story progresses. The Anniversary Waltz, my first published novel, appeared in 2012. Before that, I wrote at least ten complete novels and three or four incomplete ones over the years. They are stored in a box marked Manuscripts, and there they sit. I’ve had people say that I should take them out, dust them off, and submit them for publication now that I’ve had two novels published. But I don’t think I will. They aren’t that great and were part of my growth as a writer. Writing exercises, if you will. They have a place in my life, just not a place on a bookstore shelf beside The Anniversary Waltz and The Return of Cassandra Todd. How long did it take to write your first novel? You may not believe it but it took me ten years to write The Anniversary Waltz. That may seem inordinately long, and it probably is by most standards, but while I was writing it, I built three houses and set the manuscript aside for long periods of time. Whenever I revisited the story, I added details and allowed the plot to grow. It went through many changes before it reached its final form ten years later. I write directly to my computer, so staring at a blank screen can be intimidating. Always, the question of the day is Now what am I going to put there? Some days the screen fills up rapidly as ideas occur faster than my fingers can type. Other days the screen remains blank for a long stretch, and when I do begin to fill it up, I find myself using the delete key a lot. It’s not that I don’t love writing. But it involves a great deal of rewriting, revising, and editing. And that’s on a good day! I get up each morning, usually early, and say my morning prayers, exercise for thirty minutes, shower, get dressed, eat breakfast, and then try to be in front of the computer by 9 a.m. I usually check my emails and answer any outstanding ones, and I like to check my book reviews just to see if any new ones have come in. Then I go over the material I wrote the day before, polishing and revising and tweaking until I’m satisfied. When that’s done . . . I face the blank screen once again. Don’t quit your day job. And here I’m speaking from experience. I taught school for five years and then resigned so I could write a novel. I sent out many letters to publishers but nothing came of it. I was fortunate to find another teaching job, and I stayed in teaching for the next thirty-two years. During that time I wrote ten more novels, several of which were intended for the youth market. When The Anniversary Waltz and The Return of Cassandra Todd were finally signed by a publisher—after thirty years of trying—I retired so that I could write full time and enjoy the process a little more. On that note, another piece of advice: Don’t give up. It took me thirty years to find a publisher. How badly do YOU want to find one? I like a blend of fiction and nonfiction. I’m a huge Beatle fan, and so I read any book on them that I can get my hands on. I also like to read John Grisham’s legal thrillers, and Nicholas Sparks and Charles Martin’s romance stories. From a literary point of view, I’d say Nicholas Sparks and Charles Martin have inspired me the most in the direction my own writing has taken. I am currently reading When Crickets Cry, a story of the heart. It’s the story of a man with a painful past who meets a child with a doubtful future. They share a journey toward healing for both their hearts. I would invite readers to check out my website. I’m also on Facebook and Twitter. I post monthly articles on my blog and on Just the Write Charisma’s blog spot.